An edited extract from The new New by Ulrich Dietz. Ulrich Dietz: I must confess that as an engineer I don’t really know what motivates a famous choreographer like you. Contemporary dance is not especially close to me. 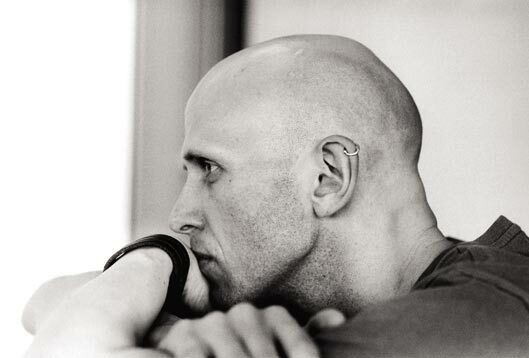 Wayne McGregor: Why not? You have a body. That makes you perfectly qualified. UD: Well, fine. I consider you innovative because you radically transcend the boundaries of your discipline – for example, by co-operating with neuroscientists. Why? WM: Because I want to discover and understand how the mind and the body interact as an interconnected whole. My company Wayne McGregor | Random Dance and I have been experimenting intensely for nearly ten years with cognitive scientists who study this interaction. In classical ballet and modern dance, technique is still focused on physical training to the point of perfection. People concern themselves with virtuosity and controlling the body; the mind is essentially ignored. I completely reject this separation of mind and body. Fortunately, science is increasingly demonstrating how absurd this split is and addressing a notion of embodied cognition far more seriously. We are finding out more and more about how our imagination integrates emotion, sensation, memory, movement and language. We understand that there are techniques not only for training the body but also for enhancing creativity and stimulating a richer imagination. WM: Artists often claim they work instinctively. This is only partially true. This so-called creative instinct is always integrated with our cognitive faculties. WM: Dance is essentially a collaborative art form; usually it requires other individuals to participate in the generation of the work. A choreographic process is an ideal example of distributed cognition. In a project at the University of California, San Diego, we investigated how ideas are disseminated (distributed) within a team. This led to some very interesting insights about how the creative process evolves, which in turn shaped our next creative process. We looked at some seminal questions: during a making process, which parts of an idea are retained by the group (or individual) and which parts are dropped? What mental models do we each develop when we improvise together? What forms of communication do we use to share, transform and vary the ideas and how is gesture, verbal language and sound utilised to embody the concepts? With a greater understanding of these issues we were able to recharge the choreographic process with a new framework and new points of departure. This is incredibly inspiring. Practically this means (as a concrete example) that the dancers and I now share a richer understanding of the distinctions made when we image-build, whether they be visual images, aural images or kinaesthetic images and how we work with them to generate dance. These distinctions can be practiced, explored and developed so you can generate more and more complicated relationships between the categories of image. This becomes a very dynamic creative resource or new technique. WM: Definitely. When I work with young dancers, the first thing I do is encourage them to trust their bodies. They should experience how wonderful it is to dance. How it feels to jump, to stretch out, to turn, to walk, to run. They can learn flawless pliés later. First you have to awaken the passion for dance; everything else will follow. Then you can seed these new creative techniques so they start to generate and choreograph their own dances – they find their own expressive voice rather than imitating one and re-discover themselves quite literally through dance. UD: Can people of any age manage this passion? WM: Of course, it doesn’t depend on age. More and more adults are attending dance classes in their free time; there are dance shows on television with public casting sessions and thousands of people register in the hope of being selected. But for me, the creative aspects of dance making are the key to self-discovery; it’s the integration of the visceral thrill of moving with the flight of the imagination. I believe the need to feel the body (and by body here I mean a fully embodied body) is increasing as our world becomes more virtual. UD: Do audiences understand your radical choreography? WM: Hmm, not an easy question. Certainly many of our audiences respond well to the work and its challenges for them in creating meaning. I think for them, meaning emerges from their active participation in the viewing. They are not looking to be simply entertained but they are looking to navigate the work themselves and engage with the questions it presents. For me, dance has not only an emotional dimension but also an intellectual one. Part of the attraction to the work and by definition, the repulsion for some is the actual physical vocabulary the dancers execute, with its often abrupt, distorted, torsioned movement that seems alien to the body. But dysfunctional, damaged, traumatised bodies have always interested me a lot, precisely because they are not stereotyped. Learning to understand the beauty of this ‘other’ body language is something I consider very important to appreciating the work. For this you have to be open to a body misbehaving, a body not obeying the conventional rules of dancing and for some, this is too far an aesthetic stretch. UD: What are creative competences? WM: There are many creative competences including: encouraging active problem solving, developing an independence of thought and functioning, learning new ways of extracting information from things, using the body as an object to think with, exploring alternative decision making etc. These are competences we are actively training through our use of creative imagery tools and techniques in the studio. But it is just as important to understand how to generate opportunities to make mistakes. Creativity often comes at the point where you make a mistake. Then you make another, and another, and another… and at some point you suddenly make something original. At school we are usually taught to do the right thing, give the correct response, not the original thing; our creative impulses can be destroyed. That can include the ability to think independently, or to deal with a task differently today from how you did it yesterday. Creative minds understand their habitual patterns and seek to disrupt them, or at least continually invent new ones. UD: What is your vision? WM: My vision is to be open to new possibilities and ever curious. The fields of research outside the art world bear rich pickings for experimentation and knowledge transfer and to be creative is a resource we all can share. Ulrich Dietz is founder and CEO of GFT Technologies AG. ~ by DanceHouse on September 23, 2014.